This year's Rogue One: A Star Wars Story is shaping up to be a very exciting film for Star Wars fans. The film, which tells the story of the group of rebels who stole the plans to the first Death Star immediately prior to A New Hope, may see the return of the most iconic Star Wars villain of all time. 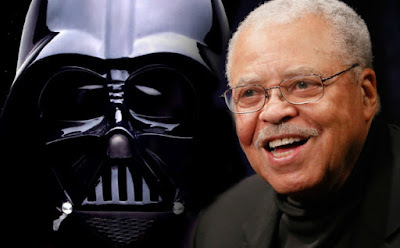 Our friends at MakingStarWars.net are reporting that a Darth Vader suit has been created to match the suit worn in A New Hope and that James Earl Jones will be reprising his role as the voice of Vader. No word yet on who will be inside the suit. Brian Muir, who worked on the original suit, lead the team to recreate it for Rogue One. This isn't the first time James Earl Jones has reprised the role in recent memory. He recent voiced the character in the Star Wars Rebels episode "The Siege of Lothal" last summer. "We still don’t know the precise parameters of the role Darth Vader will play in Rogue One. Most of the rumors have him as a prominent player in a few scenes and something to fear for the heroes. If it amounts to a few shots or a few sequences is still up in the air. It certainly does paint the picture that Darth Vader chasing the stolen plans at the start of A New Hope is simply a continuation of the events from Rogue One: A Star Wars Story." Can't wait. Maybe Rogue One will finally explain why the damage didn't "look so bad" from outside the ship. 3PO probably meant the damage from the laser impact from the star destroyer, just before they got entered.